We are buying the paintings of mostly affiliated domestic authors from legal owners. We are especially interested in art paintings by the most famous domestic painters, such as: Olje Ivanjicki, Cila Marinkovića, Milića od Mačve, Mome Kapora, Petra Lubarde, Ljube Popovića, etc. We are also buying the paintings of other well-known painters such as: Janoša Mesaroša, Ratka Lalića, Zdravka Mandića, Save Stojkova, etc. We make free estimation and purchase of artistic paintings by domestic authors! We have years of experience in brokering and selling pictures! We are aslo buying paintings from other painters. The mentioned painters are listed only for illustration purposes. .
Below we want to give you some information regarding the evaluation of the images. Images should be authentic and undamaged. The assessment of the pictures is carried out by art practitioners. The price of the purchase of art paintings in the art market is somewhat standardized. The amount of money that will be provided by the redemption of artistic paintings depends on the technique used to create the picture, the dimension, and how much the author is known to the public. The purchase of artistic paintings is done with or without a frame. If you have artistic high-value pictures, it’s can be hard to find collectors who will offer you a high amount of money, if you try to do it by yourself. A much better financial result will be achieved if the pictures are given for redemption. 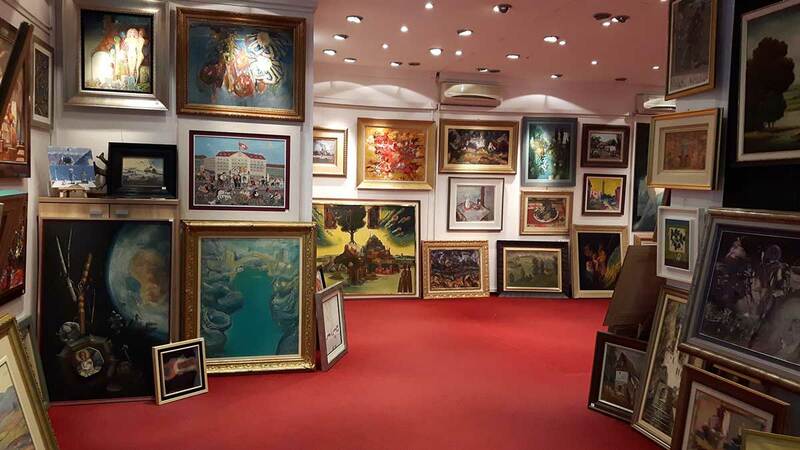 The redemption of art paintings allows you to present your pictures from your private collection on auctions across the world and to find the end customer through that route.